Prince Igor Troubetzkoy was Barbara Hutton's fourth husband. He won the Targa Florio and then drove the first Ferrari to be entered into a Grand Prix, the Monaco Grand Prix in 1948. Prince Igor Nikolayevich Troubetzkoy was a skier and amateur bicycle champion. French by birth, Lithuanian by descent he became Barbara Hutton's fourth husband and developed an intense interest in auto racing. Hutton had left California and moved to Paris, France before acquiring a mansion in trendy Tangier. She began dating Troubetzkoy and in the spring of 1948 in Zurich, Switzerland, she married him. Troubetzkoy also instilled his passion for racing into his stepson, Lance Reventlow, who raced and brought the Scarab team to Formula 1 in the late fifties. In 1962 Reventlow's passion for building and racing cars evaporated and he spent much of his time hiking and skiing. He also engaged in a variety of self-indulgent behavior including drinking and womanizing. He died accidentally in 1972 when the Cessna 206 airplane he was riding in, crashed into the mountains near Aspen, Colorado. He started racing in June 1947 driving a Simca-Gordini to third place in the Coupe de l'Agaci behind Eugéne Martin and Harry Schell. In 1948, Troubetzkoy formed a racing team, 'Gruppo Inter' (Team International), with Count Bruno Sterzi, and purchased 3 Ferraris, 2 Spyder Corsas, 006I and another cycle-fendered 166, 010I (Nee 01C), and a 166 Sport Spyder with full-width bodywork by Allemano, 001S for use as a “Muletto”, or practice, car. 001S was road registered and used also as private transport. Inter's team manager, pre-war Maserati GP driver Goffredo Zehender, crashed Sterzi's 006I during tests for the 1948 Targa Florio in Sicily, and Sterzi asked Troubetskoy if he could use 010I. Troubetskoy and Clemente Biondetti therefore used the 001S. In the race, most of the pure racing cars experienced problems with the poor fuel available locally, however their road car ran without trouble and took victory. After the race, 001S, was sold to Luigi Bordonaro who had it fitted with his won version of the cycle-fender theme, a body in which the fenders were flared into the bodywork. He then drove the first Ferrari (006I) to be entered into a Grand Prix, the Monaco Grand Prix on May 16, the first GP since the war. By the 50th lap (halfway), eleven of the 19 cars in the race had quit. But Igor, gripping the wheel of his No. 36, a crimson Ferrari, was still in the running. Then on the 54th lap, Chiron pushed him off at the chicane on the quai at the place where Ascari later fell into the harbour in his Lancia. Igor came to rest, backwards against a straw bale. The steering was damaged and also the right front supension. Slowly, with pursed lips, he emerged from his wrecked car, walked with dignity into the bar of the Hotel de Paris and was not seen again. The race was won by Giuseppe Farina at an average speed of 101.3 kph. The three cars were kept and maintained by the factory and whether or not Troubetskoy and Sterzi knew about it, all three cars were loaned out to other drivers when the team principals were not using them. This caused a problem for Sterzi and he deceided that he didn’t want to have any further dealings with Zehender. Troubetskoy thus ended up owning all three cars. It wasn’t until July 4th that Troubetskoy got to race 010I again. Entered, as arranged when the car was first purchased by the Scuderia Ferrari, in the Grand Prix von Europa in Switzerland, Troubetskoy bought the car to the finish line in 9th place. Just two weeks later, again factory-entered, Troubetskoy netted another 9th place finish during the aptly named F2 “GP pour petite cylindrees” run as a support race to the Grand Prix of Rheims, held in the Champagne country of France. Gruppo Inter then entered the Grand Prix of Albi at le Planques on August 29th. After doing well in the first heat, Troubetskoy entered a corner too fast in the second and crashed. he was thrown out of the car. Troubetskoy then drove in the Grand Prix of Florence, having recovered from the Albi accident. 010I was then entered in the 8th Circuit of Garda, a race run around the lake in northern Italy with Troubetskoy finishing eighth. Nuvolari had been entered in the Mille Miglia by Cisitalia for a works car, but the car was not ready due to an accident. Tazio was disappointed as he knew that this would probably be his last chance to win again. He met his old friend Enzo Ferrari in the Hotel at Brescia, and asked if he had a car. However all the works and customer cars had been entered already for other drivers. The only car available at Maranello was Troubetskoy's Tipo 166 Spyder Corsa 010I. Troubetskoy had to travel to Paris on short notice to attend his sick wife, and had left 010I at Maranello as usual. Enzo Ferrari phoned home, and the next day the Spyder Corsa was available at Brescia for scrutineering, bearing the high number 1049 as one of the very last entries. Nuvolari soon found himself where he belonged, in the lead. Though he was very sick, coughing and spitting blood, he was still able to open a 29-minute lead. Driving in the only manner that he knew, flat out on the edge, he left parts of his car all along the Italian countryside. The Prince’s Ferrari slowly came apart loosing first the hood and then a front fender. Soon the driver's seat came loose and was shortly replaced with a sack of oranges and still he drove on. Knowing that he was dying and that this might be his last chance for a victory he would not quit. When he reached Maranello his appearance shocked Enzo Ferrari, who begged him to quit even at the cost of denying Ferrari his first Mille Miglia victory. Some thought that he was on a suicide mission to die at the wheel of a race car rather than in a hospital. Finally with the brakes on his car failing while still leading the race the rear suspension upright cracked. He had driven the little Ferrari as fast as he could, as long as he could and had it not failed nothing on this earth could have taken this last great victory from his grasp. His race over he stopped his car by the side of the road, exhausted he was lifted from his car by a local priest and put to bed. It was several days before Troubetskoy learned that it was his own Ferrari the Nuvolari had been given. The Prince was even more shocked when he was informed that he was being publicly thanked for kindly giving Nuvolari what was expected to be his last ride in the Mille Miglia. The Prince never forgave Ferrari for his indiscretion and even after the Ferrari Factory refurbished his car he remained bitter. Troubetskoy was left with three worn Tipo 166 racing cars at the end of the season. With the cars needing to be completly rebuilding to bring them up to the latest specification and with Sterzi's problems with Freddy Zehender, disliking his dealing on the side, they decided to disband Gruppo Inter. 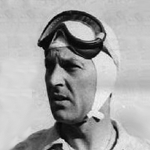 Almost certainly, Zehender had allowed Enzo Ferrari to enter the Gruppo Inter’s cars without telling either Sterzi or Troubetskoy. Though Troubetskoy loved Barbara Hutton and did everything to help her overcome her addictions. He ultimately could not deal with her problems and filed for divorce. Hutton's attempted suicide made headlines around the world. Mocked by the press as the "Poor Little Rich Girl," her life nevertheless made great copy and the media exploited her for consumption by a fascinated public. After Troubetskoy went back to France, every time he sold one of his paintings by Matisse or Sam Francis or Picasso, he felt terrible about it, and tried to copy it. His son Arnaud and Christopher Moore were in business school together in Paris, and they worked out a technique. Now, they're known in Europe as the people to see for high-quality replicas at affordable prices. Headquartered now in a cluttered second-floor Manhattan showroom on East 60th Street, Troubetzkoy Paintings began in Paris in 1978 and opened in the United States, in Haddam, Conn., in 1986.